1. Goto docs.google.com & login into your Google / Gmail account. 2. Then goto Create New > drawings to load blank canvas to draw. 3. 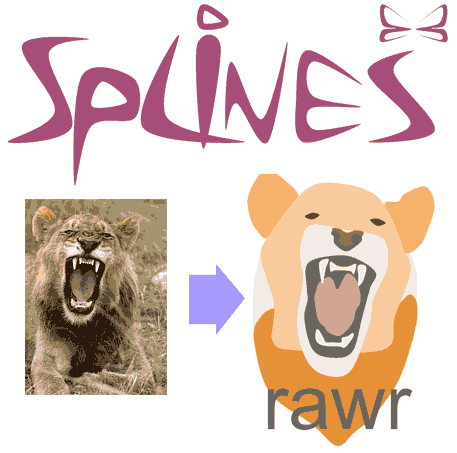 Click ‘Curve’ tool and start making drawing. Click to curve and change direction while making drawings. 4. Single click on whole drawing to get points to resize the whole drawing. 5. For freehand editing, right click on drawing and then click ‘Edit Points’ option. New points will be highlighted, you can drag them to edit shape of the drawing. 6. To change background and border color of drawing, click to highlight drawing and then click color fill tools. Above are samples [via gDocs blog] of freehand logo design and vector art image created using this procedure. 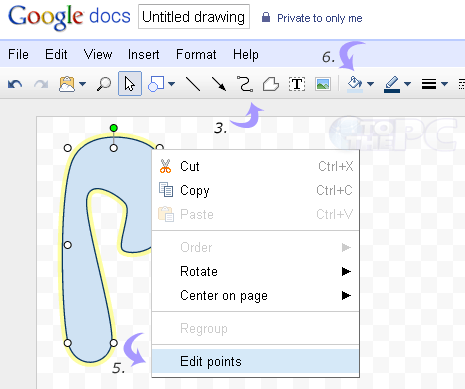 Use your creativity and easy Google Doc’s drawing tool to create cool art designs and logos.